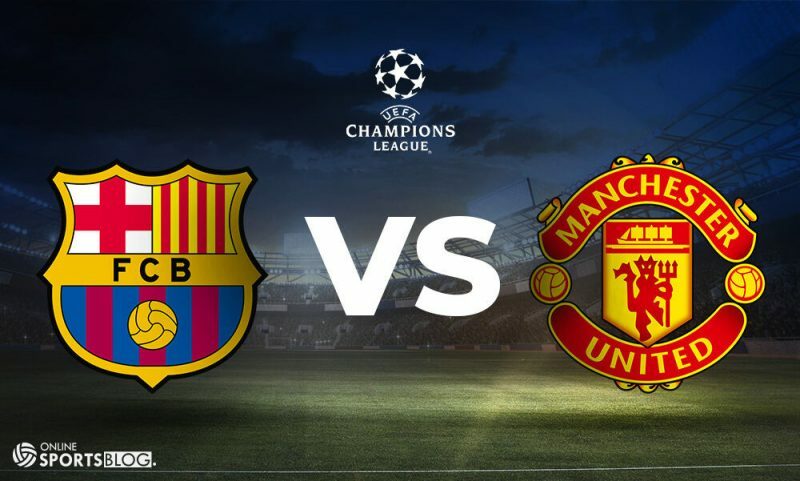 Home Soccer Football Preview PREVIEW: Barcelona vs Man United – Another Miracle? Manchester United will be aiming to overturn a 1-0 deficit and reach the last four of the Champions League as they play the second leg of the Quarter-final in Barcelona. After a closely fought first leg at Old Trafford, it is Luis Suarez’s header, that deflected in off Luke Shaw for an own goal, that separates the two sides going into the crucial second tie with Ole Gunnar Solskjaer’s squad looking to draw inspiration from last month’s staggering turnaround against Paris Saint-Germain to book a place in the semi-finals of the competition. Experienced German official Felix Brych will take charge of our quarter-final second leg on Tuesday. It’s his second United game of the season, after handling the 1-0 win over Young Boys in the group stage at Old Trafford. Barcelona paid the price for fielding a heavily rotated side in Saturday’s draw with minnows Huesca. Messi was rested at the weekend along with the likes of Philippe Coutinho, Nelson Semedo, Clement Lenglet, Sergio Busquets, Gerard Pique, Jordi Alba and Luis Suarez, who will all likely start in Europe. The result may have been frustrating, but the Blaugrana took a major positive from the game as Ousmane Dembele managed 67 minutes of action on his return from a thigh injury, and now could be set to feature against United. Alexis Sanchez and Nemanja Matic are in the United squad that has travelled to Catalonia on Monday afternoon as both near a return to the first team after spells on the sidelines. Alexis, who spent three seasons at the Nou Camp as a player, has been out of action since the beginning of March with a knee injury while Matic has missed the last three fixtures with a muscle strain. Ander Herrera and Eric Bailly have not travelled to Barcelona as they continue to recover from their respective injuries while Luke Shaw will be suspended for the second leg due to the defender picking up a third yellow card in the competition, resulting in a one-match ban. Barca were far off their best at Old Trafford yet still managed to get a result, and it is unlikely that Messi will be as off-colour as he was in Manchester. Expect United to offer more of an attacking threat at Camp Nou, however it would be hard to do worse than the total of zero shots on target they managed in the first leg. Being undefeated in their last 9 matches in the UEFA Champions League, Manchester United might need another miracle to get them out of this one.